Bali: an extraordinary island where creativity is ordinary. Art serves the community of Bali, its religious practices, its economy and is inseparable from everyday living. This unique program is designed for those who want to participate in the family and ceremonial life of outstanding Balinese master teachers, during an intensive study month. 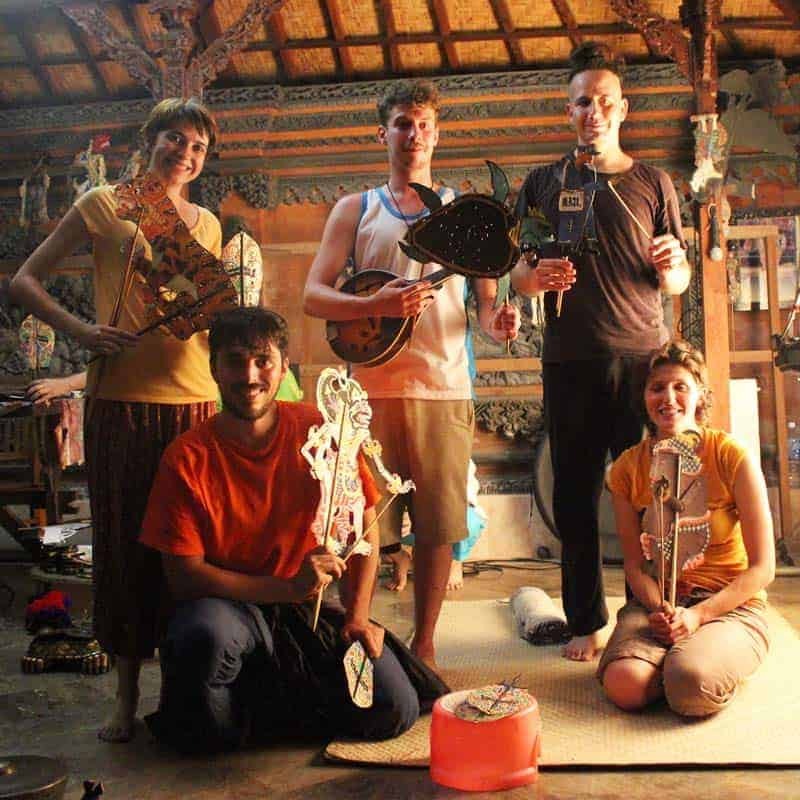 Our Study Abroad: Bali program is open to actors, musicians, designers, dancers, mask-makers, directors, teachers, and anyone who is interested in the Balinese culture and performing arts. The program begins with a traditional Balinese dinner, followed by three days of orientation to the language, customs, and ceremonies of Bali, as well as informal meetings with Balinese teachers to observe their work. Orientation will include a symposium on masks with famous carver I. B. Anom, visits to the studios of several mask carvers and puppet makers, and attendance at the famous kecak, or monkey-chant dance, by firelight. During the three and a half weeks of formal study, classes meet five days a week. Sometimes our study will take place in a classroom setting, sometimes outdoors, and most often in its traditional setting at village and temple ceremonies. 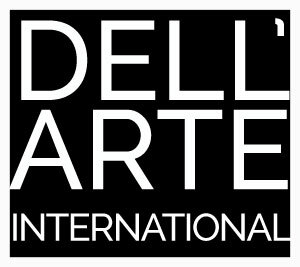 Participants will be joined by DAI’s third year MFA class. In addition to their core area of study, all students will study kecak, the rhythmic vocal chant, as well as participate in daily morning warmups, plus symposiums on the links between Balinese and western mask performance traditions. Though this is a full and rigorous program, there will be time for recreation such as mountain hiking, beaches, scuba, nightlife and shopping, including guidance on how to buy Balinese crafts. Massage and revitalizing body treatments are available at extremely low cost. Due to the sacred nature of most Balinese arts and the complete intertwining of daily life with ritual, this program can be an opportunity to deepen an internal connection to your own artistic practice, as well as to take inspiration for creative projects. In past years we have been invited to both public and private ceremonies–weddings, cremations, blessings of masks and puppets, temple anniversaries, and coming-of-age ceremonies. Respectful attendance at their ceremonies is welcomed by the Balinese people, whose religion is Hindu with Buddhist influences. Since the program’s inception in 1996 we have had participants from all over the world including Norway, England, Korea, Canada, Chile, Mexico City, Spain, Sweden, Holland, India, USA and others. • Mask Carving/ Balinese Dance (topeng or women’s dance). 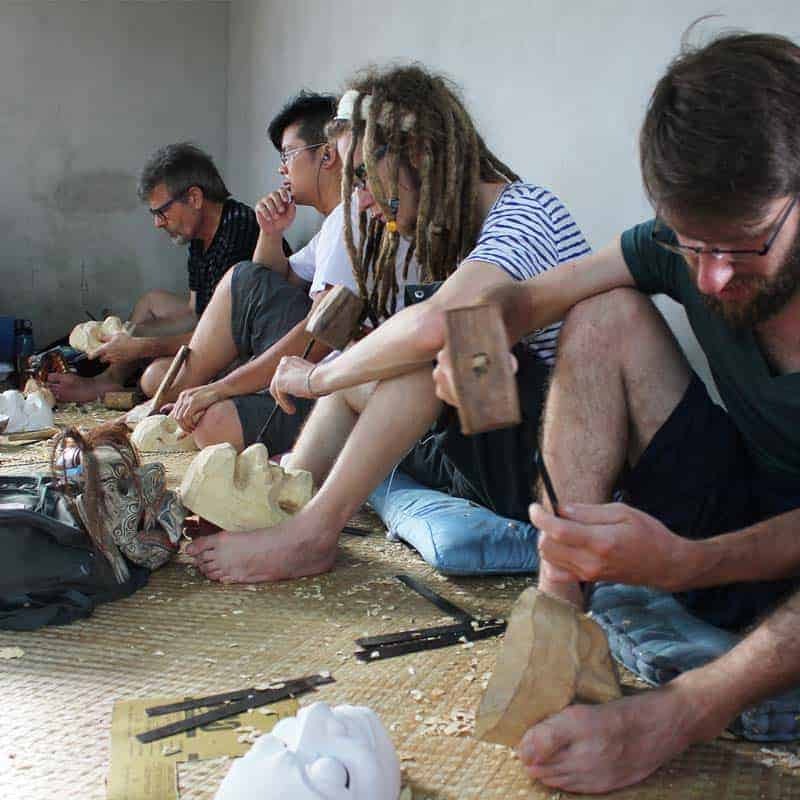 Learn from a Balinese master carver how to work with the wood, the traditional tools (axe, chisels, knives), and the paints to create traditional and contemporary masks. You may order and bring home your own complete set of tools. Students will spend 4 hours daily in the studio of their teacher. Your class day will include one hour of Balinese dance. Topeng is the name of the masked dance form performed at most Balinese ceremonies, or you may elect to study the powerful yet graceful dance forms of the women of Bali. You will work in the studio of a Balinese master teacher, learning the basic walks, postures, arm and head movements in the mask. Topeng is based on stock characters like the king, minister, clown, and you will have the opportunity to see it performed at village ceremonies during your studies. Your carving program is the same as that described above. Wayang kulit is the traditional art of storytelling through shadow puppets, performed by firelight. The puppet master is a combination of priest, storyteller, therapist, actor, and improviser, who manipulates and voices dozens of puppets in one play. Your class day will include one hour of Balinese dance (see above). Your afternoon will be spent at the home of a shadow puppet master, or dalang, who will instruct you in the art of leather puppet making: design, using the metal punches, painting and rigging techniques. You will observe how the traditional shadow screen is used, and develop a short shadow play to be performed at the end of the program. Those who are interested in learning Balinese music may elect to spend some time learning the gamelan instrument, the gender, which accompanies shadow plays. For students who wish to study more dance, we will arrange for other teachers depending on your interest, at a small additional cost. ANIMATIONS Online, AO30, Summer 2010, “Bali Moon,” shadow puppetry in DAI’s Bali program, by Dorothy Max Prior. Price includes full breakfast daily, tuition, materials, orientation, airport pickups and return (if arriving/departing with group). Trip price is based on two persons sharing a room with two beds and private bath. Single room supplement $350. Air Tickets: (Dates approximate within a day or two until July 2019) DEPART January 8 2019, arrive in Bali January 9; RETURN February 7. You can also book your return for up to 60 days after beginning of travel (additional visa is required). • Accommodations for 29 nights near Ubud, Bali’s artistic center, with full breakfast, swimming pool, gardens. • Seminars in customs and culture, masks, religion, etc. • All class materials: wood, leather, use of tools, paints, etc. • Assistance with sightseeing excursions, cooking classes, shopping, etc. Lunch & dinners, sightseeing excursions, travel insurance, tips to hotel staff, airfare. Visa fee is only required if you are extending your trip beyond 30 days. Applications require a $35 fee (refundable if program is full). If accepted, you’ll need to reserve your place in the Bali Program with a $500 deposit. Credit cards, Paypal, and checks are all accepted. You can call 668-5663 to use a credit card over the phone if you wish. Your place on the trip cannot be guaranteed until we have this deposit. Complete trip information will be sent upon receipt of your first deposit. A payment of $1500 is due the week September 15th, 2019. A final payment of the full remaining balance is due November 1, 2019. All deposits, tuition and fees, less the $35 application processing fee and a $100 cancellation fee, are refundable until 65 days before the start of the trip. All deposits, tuition and fees, less the $35 application processing fee, the $100 cancellation fee and any hotel and airline deposits, are refundable until November 30, 2018. No refunds after the first day of travel except in the event of a medical emergency. Cost is based on double occupancy in fan-cooled rooms with two beds, private bath, and breakfast included. Single rooms available for supplemental cost. There is a swimming pool, beautiful gardens, and a covered, open-air studio where some of our classes will be held. Other meals are available in nearby restaurants at very reasonable costs. Vegetarian food is easily available.